wedding ceremony on the blog. "I am beyond pleased—​elated would be more appropriate—​with everything Hannah did for us during, before and after our wedding. She created a custom ceremony that incorporated not only our different Christian backgrounds but my Japanese heritage and our love of literature. Not an easy task! But she made it beautiful, personal and it all flowed together seamlessly. "Having a custom ceremony is not something that was important to me when I started the wedding process, but now that it's over, I am thrilled that I went that way. I have gotten so many emails and calls from our guests saying how touched they were by our ceremony, how personal it was, and even that it was the best they have ever witnessed. "Hannah is just a lovely person. I told her I was probably going to 'ugly cry' during the ceremony, which of course I did, and she slowed down, let me have my moment and just radiated caring and compassion. She's also an excellent writer, and very responsive and professional. If I could give her ten stars, I would." "My husband and I cannot say enough positive things about working with Rev. Hannah Grace! From the moment we met her until well after our wedding ceremony was over, Hannah was so incredibly responsive to all of our questions and our needs, and she was genuinely thrilled to help us make our 'big day' as special and unforgettable as possible. "Hannah helped us to craft a unique ceremony from top to bottom and was incredibly knowledgeable about our individual religious and cultural backgrounds, suggesting wedding traditions that fit our exact needs. Our ceremony sincerely felt like a fairy tale experience thanks to the wonderful program we crafted with Hannah. 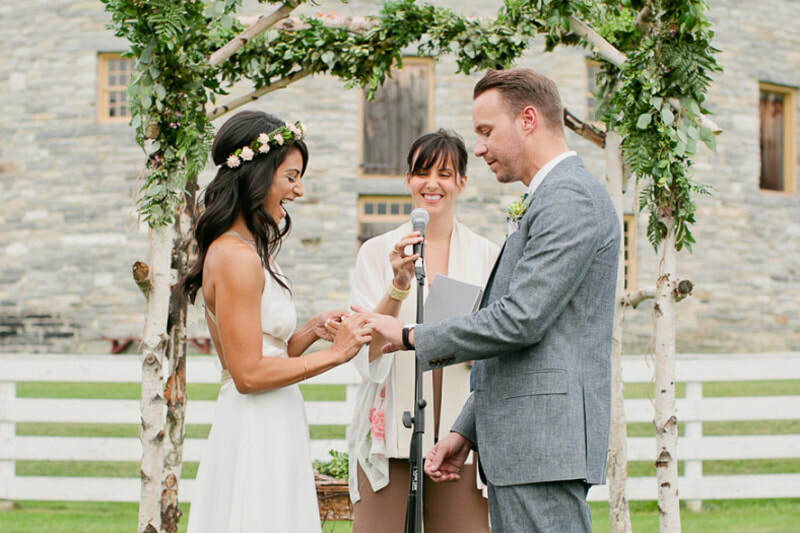 ​"The response from our family and friends was phenomenal--guests sought us out to let us know how much they enjoyed our ceremony and how it fit our personalities and our love story so perfectly. 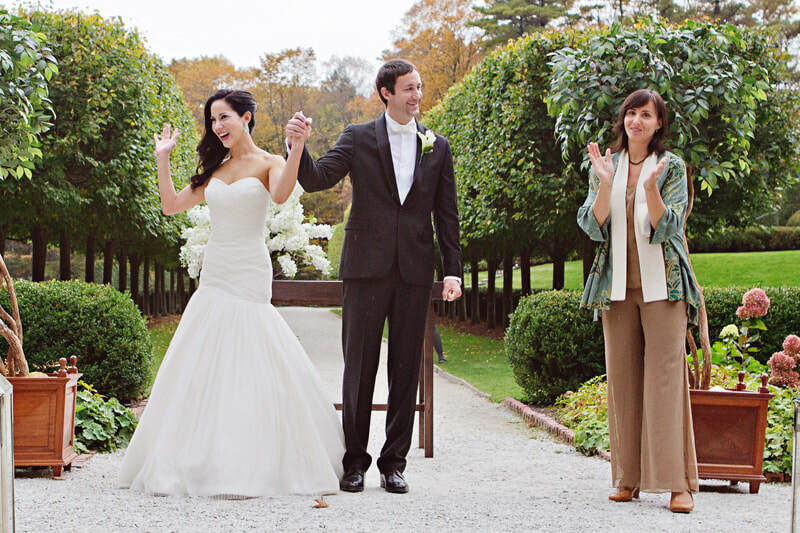 One guest described our ceremony as the "best modern wedding" he had ever seen. I HIGHLY recommend working with Grace Ceremonies to craft your own dream wedding!!!" wedding ​ceremony on the blog. "Yesterday was our one-year wedding anniversary, and to this day people talk about Hannah and the beautiful custom ceremony she designed for us! She is such a lovely person and really enjoys getting to know your love story. She hears what you want, offers amazing suggestions and was so helpful in the process of the most special part of the day. "We met with her a few months before the wedding to talk and get to know each other. She has pages of beautiful passages, quotes, both religious and non-religious. She answered all my questions even when I thought they were silly, and is honestly the best decision we made! "The ceremony was just beautiful, her tone is soothing and peaceful, which was exactly what we were looking for. She is so passionate about what she does and making your day so special. She even asked details of my wedding colors so she coordinated! I wish I could give 10 stars!!!" 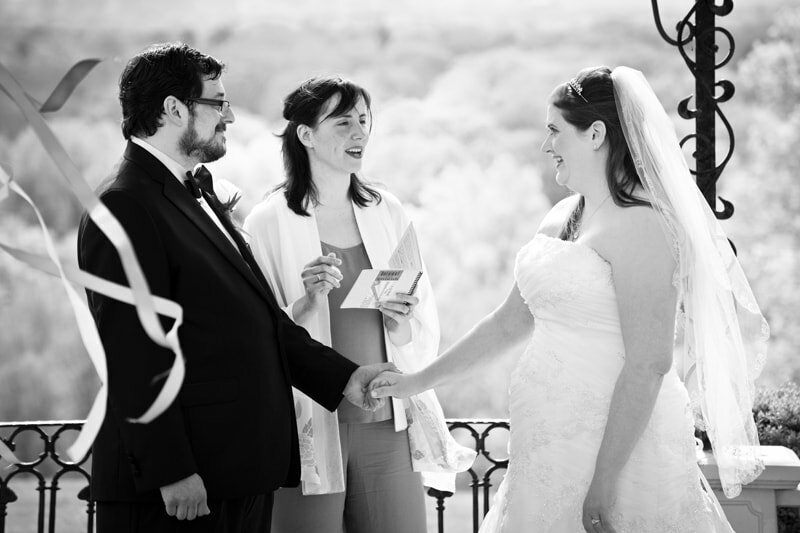 "Hannah was a wonderful officiant – she crafted a beautiful ceremony that was reflective of our values and relationship. The ceremony was our favorite part of our wedding, thanks to her guidance and honest writing. 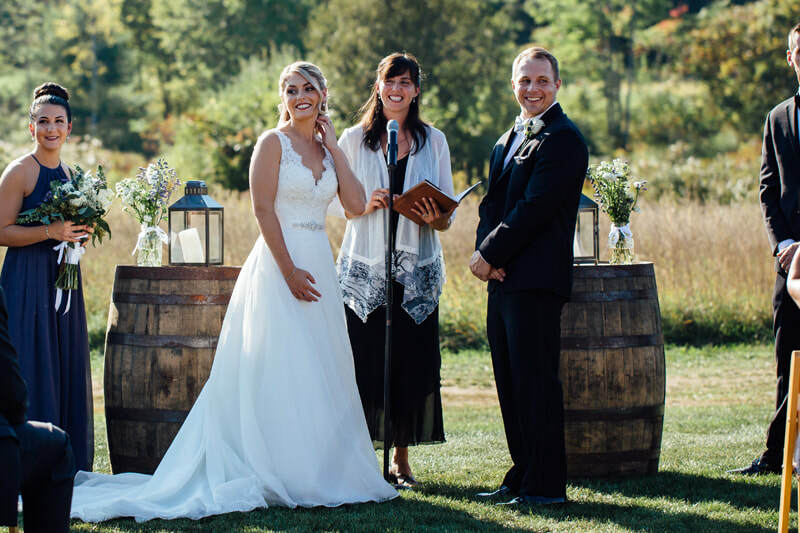 ​"Hannah was very responsive to our needs throughout this process and really took the time to get to know us as a couple, which made our ceremony that much more meaningful. I highly recommend working with her!"